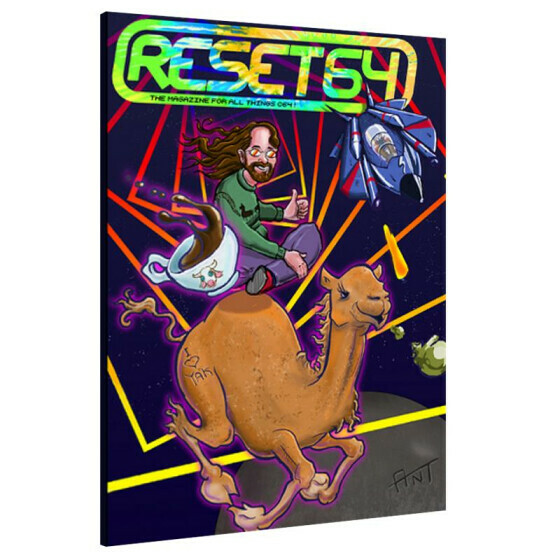 Grab your copy of Reset64 #11, containing *80 pages* of shmup action! 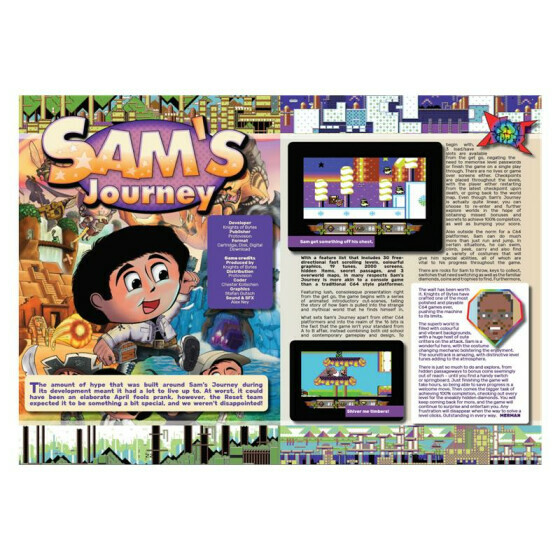 Featuring reviews of some of our favourite games that featured in the 2017 GOTY Awards, including LuftrouserZ, Rescuing Orc, Planet Golf and of course, the amazing Sam?s Journey! Paul Morrision kicks off the issue with an outstanding shmup themed discussion aptly titled Shoot-Em-Up Up Discussion Kit, with the 8-bit kings of the genre; Andrew Braybrook, Jon Hare, Jay Aldred, Simon Pick and Pete Baron. The Reset team and contributors go back in time to revisit their favourite shooters in Alex Boz? Blast From The Past. 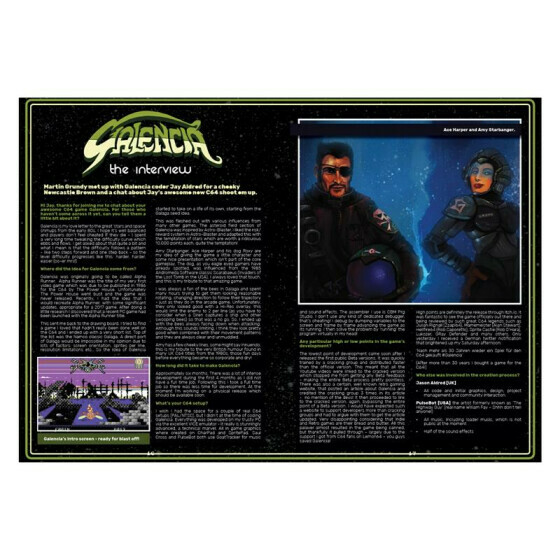 Martin Grundy takes us back 30 years for Reset Reloaded and the team reflect back on Jeff Minter?s wacky, crazy and zany shoot?em up, Iridis Alpha, for Rob Caporetto?s Reset Rewind. The Jeff Minter love continues, with Jari?s comparison of the 8bit micro versions of Voidrunner in Format Wars and the Reset crew discuss their favourite Bob Wakelin masterpieces in a touching tribute to the legendary cover artist. We also present you with a beautiful new cover by Anthony Stiller and a brand new Blow The Cartridge comic by Cameron Davis. 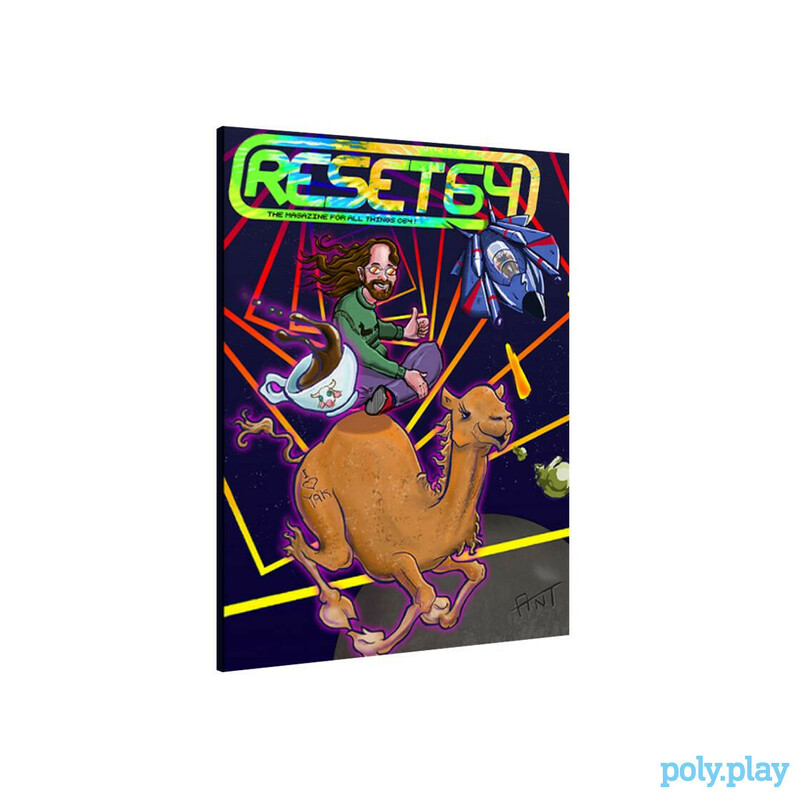 All this and lots more in Reset64 #11, presented to you in a deluxe physical edition (with optional coverdisk and/or poster) from Protovision or a 'pay what you like' downloadable PDF from the Reset itch.io page!